Opening Day at Walt’s Organic New Location by Fisherman’s Terminal in Seattle. 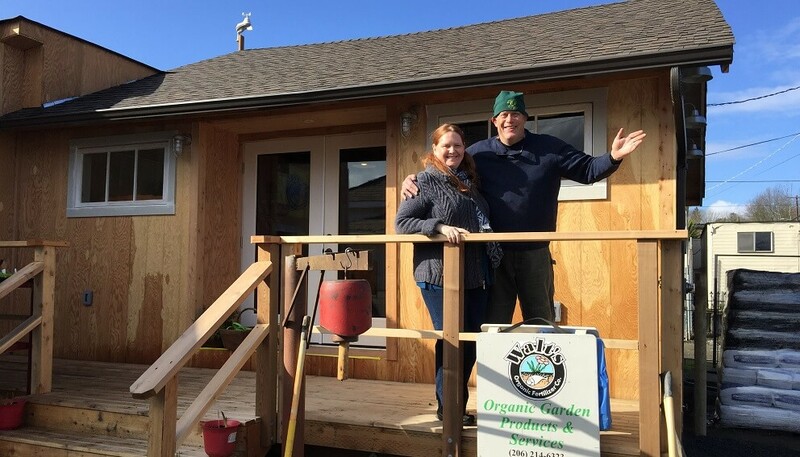 Walt’s Organic is opening in its new location on March 1st! Please come down for a Grand Reopening Celebration! Join us all weekend long to toast to our permanent home with refreshments and tasty treats. It has taken a lot of elbow grease to fix this place up and we can’t wait to show you around. The new location has easier parking and more space for our store as well as future classes. Thank you for your patronage over the years. We look forward to seeing many familiar faces and meeting some new ones. Walt, Shirly Jane, and Co.
Portage Bay Grange guys told me that you didn’t have a physical location right now. Is this announcement on your website current? Also, I am desperately looking for organic straw bales. Any ideas?